Art is good for kids. There’s simply no denying it! This fall, we’re offering an After-School Art Club here at Yucandu that allows your child to embrace his or her creative side. From developing important motor skills to growing in confidence, you’ll find that art can have an amazing mental, academic, social, and emotional impact on your child. Here are a few reasons why your kiddo should join us for After-School Art Club! As we’ve discussed previously with open-ended art, allowing children to embrace their creativity has many benefits. Countless studies have shown that the hands-on nature of creating art (holding a paintbrush, manipulating clay, drawing, etc.) helps children develop fine motor skills. It also gives them a chance to analyze, problem-solve, and make decisions. The willingness to take risks also fosters a sense of innovation: creating art shows kids that they don’t just have to follow directions. Rather, they have the chance to think creatively so they can make something new and/or better with creative thinking. Art projects like the ones we’re offering at the After-School Art Club will challenge them to learn new techniques and to work with materials they’re unfamiliar with. As they develop their artistic and creative skills, they’ll learn to take pride in what they create, in the new skills they’ve learned, and to see themselves in a new light; that is, being able to rise to the challenge of putting themselves out there and doing things they probably didn’t think they were capable of. Kids from all over Webster Groves and St. Louis attend our After-School Art Club sessions, so your kiddo will have the chance to socialize and work with a whole new group of kids who are in their same age and grade level. And since we allow a maximum of 16 kids per session, your child will be working in a closely-monitored and intimate setting. Over the course of six weeks, they’ll walk away from After-School Art Club with new friends you know they won’t stop talking about. At Yucandu, kids get to just be kids and have fun! We’ll throw on smocks and give them the chance to get their hands dirty. Using artist-quality paint, clay, colored pencils, and glue, they can let their imaginations run free for 90 minutes. Art allows them to experiment, and getting messy is highly encouraged. Our sessions take place one day a week from 4:00 pm-5:30 pm. Projects include 2D & 3D projects, drawing with pastels, working with clay, sculpting, artist studies, and so much more! This fall, we’re offering two consecutive six-week sessions. You can sign up for one session at a time ($120 each) or for both sessions now ($192) and save 20%. That’s a savings of $48! Grades K-2nd meet on Mondays or Tuesdays. Grades 3rd-6th meet Thursdays or Fridays. The choice is yours what day of the week you’d like your child to attend! 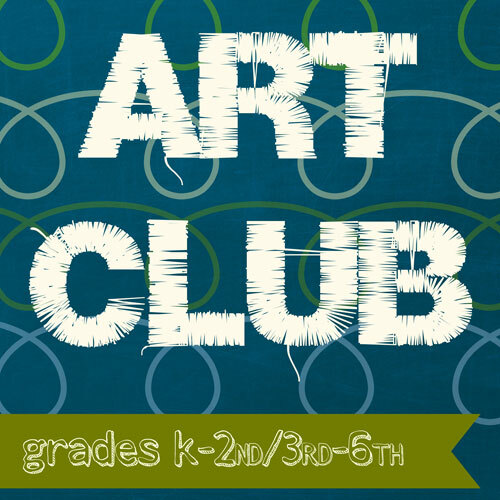 Sign Up for After-School Art Club Now! Registration for After-School Art Club is open now, but space is limited! Sign your child up for After-School Art Club today!